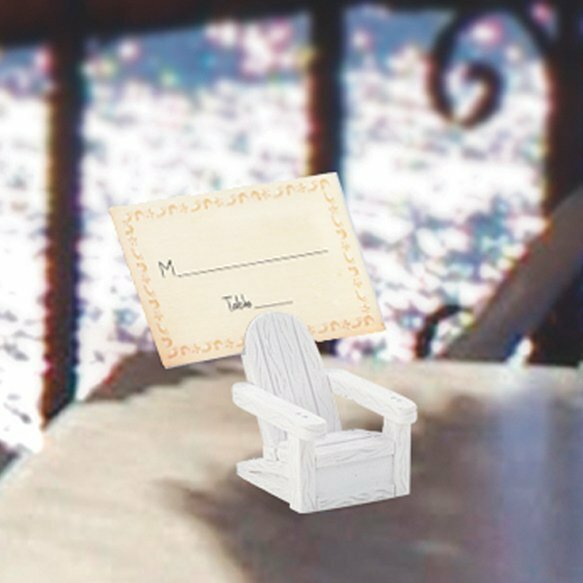 These beach chair place card holders are the perfect favor for seaside events! What better way to invite your guests to take a seat (at their assigned table of course) and relax? 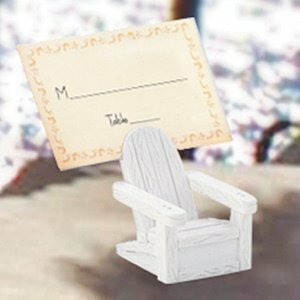 These Adirondack chair place card holders measure approximately 1 3/4 inches tall and are constructed from white resin. The miniature chairs serve double-duty as place card holders and as keepsake favors that your guests can take home to display their own beach memories. Are these sold individually or in sets of 2? Also can they be personalized?